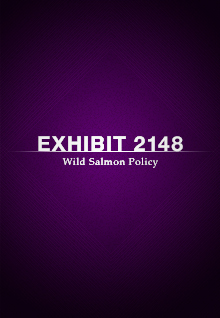 Wild salmon stocks began to decline in the 1980’s. First it was chinook and coho, then pink and chum salmon. By the early 1990’s even the prized Fraser River sockeye populations began to decline. After three years (2007-2009) of consecutive closures of all fishing, the Canadian Government struck an inquiry led by former Justice Bruce Cohen. The inquiry held hearings from September 2010 to December 2011 over 139 days of testimony and called 179 witnesses. This collection of almost raw footage is presented here is 119 days of the testimony. It was shot and funded by independent filmmaker, Scott Renyard. The terms of reference for the inquiry was that only one camera be allowed in the courtroom at a time. The footage is not fine edited and there are many camera swings as he captured as much of the testimony as possible. This footage is here because it is an important piece of British Columbia history and is now available on this channel for the general public, researchers, scientists and students.